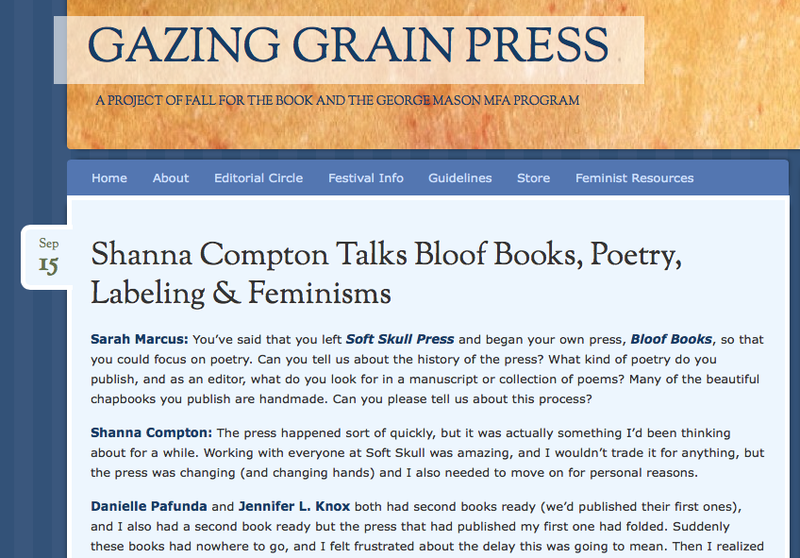 I'll be at the Philalalia Small Press Poetry & Art Fair all three days: Thursday–Saturday, September 25–27. On Friday the 26th, I'm giving a book-making workshop at noon, at the bookfair. 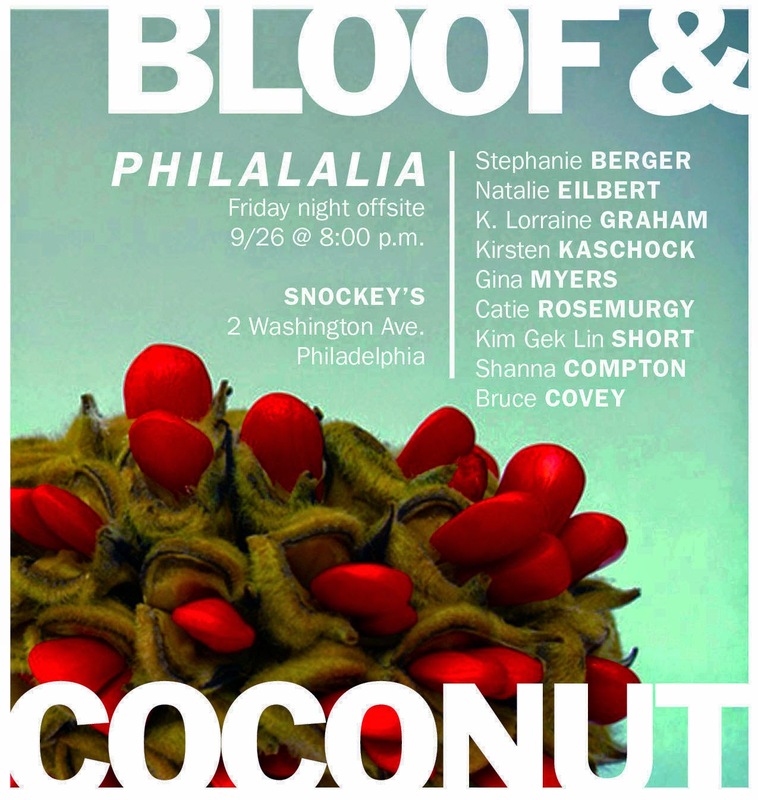 Later that night, I'll be part of the reading above, with Coconut + Bloof. I don't think I mention it there by name, but the title has changed for the new/forthcoming book: The Hazard Cycle. I can explain. Another poet recently used Seam as a title. Though our work is quite different, I didn't want to create confusion or detract attention from her book. The new title is actually an older title, one of many that the manuscript has known. But this fits, and I like it better now, so I think it will stick this time.